Doing some remodeling and moving walls? 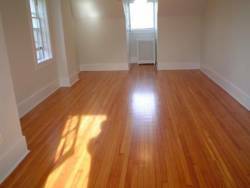 The question is always asked what to do with that hole in the floor from a previous radiator, electrical outlet or now unused return vent? 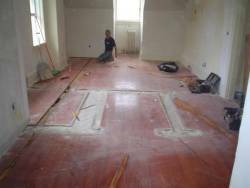 You won't find many with the skill of making the area look like it was never repaired, but Floor Medic can! We stock old previously used wood salvaged from older homes and other buildings for as close to an exact match as possible. 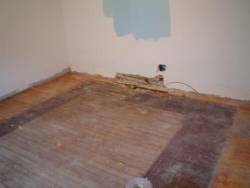 Or how about after removing all that carpet only to show water has rotted and damaged your antique floor? The experienced professionals at Floor Medic can handle any type of repair, including patching holes from old radiator heat removal! 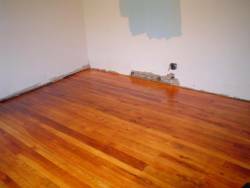 For more before and after pictures of our work visit the hardwood floor repair and restoration photo gallery.